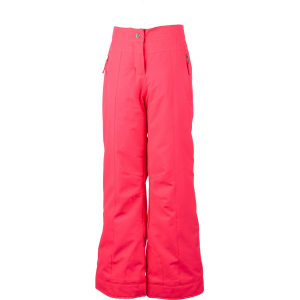 She’ll want to stay at the resort all day with the Obermeyer Girls’ Elsie Pant. HydroBlock Sport gives this shell reliable waterproof, breathable protection, and Obermeyer’s Skier Critical taped seams prevent snow from seeping through places most likely to let wetness in. 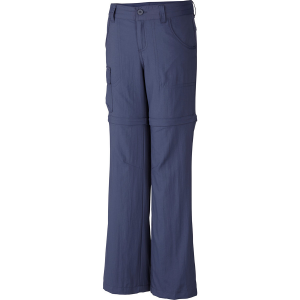 That means her pant won’t be soaking wet before lunch, and Permaloft insulation ensures warmth from the first chairlift to the last. 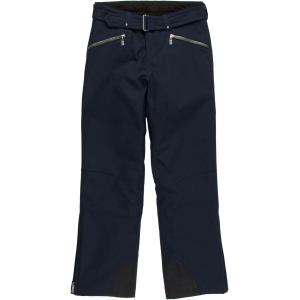 Obermeyer designed the Elsie with Ski Contour articulation for full mobility on the slopes, and an Extended Wear System lengthens the legs so she can ski in this pant after she grows a few inches. The Elsie also features gaiters that keep powder out of her boots. 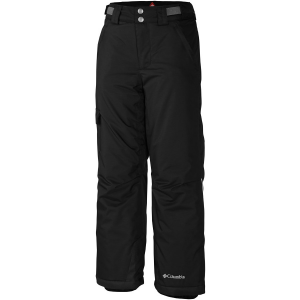 Obermeyer reinforced the inseams, seat, and knees to ensure long-lasting durability.